Have you ever heard that phrase: truth can be stranger than fiction? Well, the topic of this blog post seems to fit that statement. 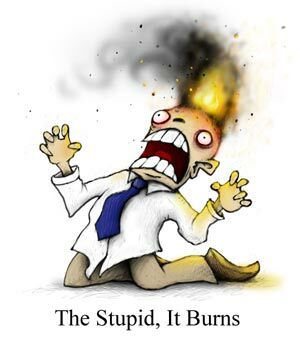 In the history of creationism vs. evolutionary science, there have been all kinds of shenanigans played by creationists in their attempts to promote their religion as science; in the beginning, this often took the form of outright bans against the teaching of evolution. 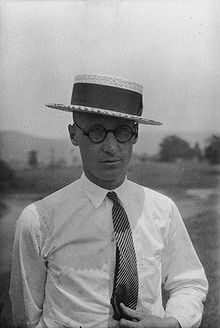 In fact, it was just such a state ban in Tennessee that led to the now famous Scopes Monkey Trial in 1925. Are the Next Generation Science Standards unconstitutional? A complaint filed in the United States District Court for the District of Kansas on September 26, 2013, alleges so. The complaint inCOPE et al. 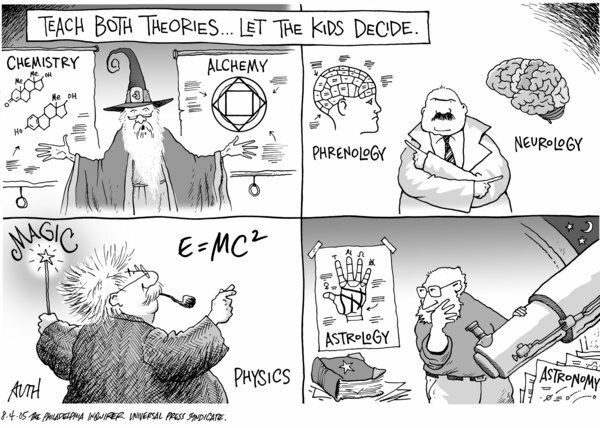 v. Kansas State Board of Education et al.contends (PDF) that the NGSS and the Framework for K-12 Science Education (on which the NGSS are based) “will have the effect of causing Kansas public schools to establish and endorse a non-theistic religious worldview … in violation of the Establishment, Free Exercise, and Speech Clauses of the First Amendment, and the Equal Protection Clauses of the 14th Amendment” (pp. 1-2). The plaintiffs ask for a declaratory judgment in their favor and for an injunction prohibiting the implementation of the NGSS in Kansas or, failing that, an injunction prohibiting the implementation of the sections of the NGSS to which they object. Of course, I have no doubt that this lawsuit will go down in flames, as it should. And I have no doubt that it will prove to be yet another embarrassing blow to the creationist movement, maybe becoming as famous as the Dover vs. Kitzmiller trial a few years ago. But I also have no doubt that these creationists will not stop there; they will attempt to thwart every effort to teach good science in our public schools. And because of that fact, we must be ever vigilant. One Iraqi bomb victim described him to the BBC as a “morally bankrupt” man. During Tuesday’s hearing at the Old Bailey in London, the court was told McCormick’s detectors, which cost up to $40,000 (£27,000) each, were completely ineffectual and lacked any grounding in science. 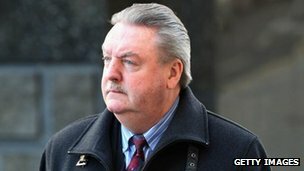 McCormick had claimed the devices could bypass “all forms of concealment”, detecting drugs and people along with explosives, the court heard. The bomb detectors came with cards which were “programmed” to detect a wide array of substances, from ivory to $100 banknotes. Other substances could be detected, it was claimed, if put in a jar with a sticker which would absorb its “vapours” and was then stuck on a card that would be read by the machine. In reality, McCormick’s device was based on $20 (£13) golf ball finders which he had purchased from the US and which had no working electronics. Serves this scumbag right. I hope they throw the book at him, not only for his crimes but also to send a clear message to the other fraudsters and charlatans out there: we’re watching you. Skepticism matters. The non-literal Genesis advocate puts $10,000 in escrow with the judge. The literal Genesis advocate and contributing writer for the Creation Science Hall of Fame, Joseph Mastropaolo, puts $10,000 in escrow with the judge. If the non-literal Genesis advocate proves that science contradicts the literal reading of Genesis, then the non-literal Genesis advocate is awarded the $20,000. If the literal Genesis advocate proves that science indicates the literal reading of Genesis, then the literal Genesis advocate is awarded the $20,000. Evidence must be scientific, that is, objective, valid, reliable and calibrated. The preponderance of evidence prevails. At the end of the trial, the judge hands the prevailing party both checks. The judge is a superior court judge. The venue is a courthouse. Court costs will be paid by the prevailing party. This displays a flaw common to creationist thinking: they define evolution to be something other than what scientists (or “evolutionists”, as they call them) define it to be! So by playing around with the definitions like this, the creationists can stack the deck in their favor through simple equivocation. But it gets better. This whole thing seems to be copied from the famous JREF Million Dollar Challenge; a problem with how this is set up which is different from the JREF challenge: it is asking the challenger to prove a negative, whereas the JREF challenge is asking the challenger to demonstrate a particular claimed ability. This is a big difference, because by asking the challenger to prove a negative, it allows the creationists in this case to play fast and loose with definitions, standards of evidence, etc. – just as Mastropaolo has done in the past. … Probably contributing to Haslam’s unwillingness to sign the bill were the protests from state and national civil liberties, educational, and scientific groups, the editorials against the bill from the state’s major newspapers, and the petition effort organized by Larisa DeSantis of Vanderbilt University, which garnered thousands of signatures calling for a veto of HB 368. What happens next seems inevitable: sooner or later, some creationist teachers are going to attempt to use this law as cover to teach creationism in public school science classes; they’ll get called out on it and taken to court; they will lose, likely costing the state many millions of dollars (plus giving them much-deserved embarrassment) in the process. Way to go, Tennessee! Welcome back to the 19th century!!! Help to Turn Back the Assault on Science Education in Tennessee! Tennessee’s House Bill 368 was sent to Governor Bill Haslam on March 29, 2012 — and columnists in newspapers across the state are continuing to press the case against the bill. Nicknamed the “monkey bill” by former Speaker of the House Jimmy Naifeh, HB 368 would encourage teachers to present the “scientific strengths and scientific weaknesses” of topics that arouse “debate and disputation” such as “biological evolution, the chemical origins of life, global warming, and human cloning.” Haslam now has till April 9, 2012, to sign the bill, allow it to become law without his signature, or veto it. So that’s the bad news: the Tennessee legislature has passed the bill. But there is good news: it seems that the governor of Tennessee is having serious reservations about signing the bill into law, seemingly because he sees it as ripe for a lawsuit which the state will inevitably lose while spending millions upon millions of dollars in court costs attempting to defend. And, especially in a time when taxpayer dollars are so tight, it doesn’t make much fiscal sense to try defending a law which is highly likely to go down in flames. That’s where you and I come in: we need to help encourage Gov. Haslam to veto this bad legislation! To do so, please consider signing onto the following petition, and then spread the word to all of your friends – especially the ones who live in Tennessee! Ah, how far we’ve come in 85 years. Not only is evolution now recognized as the unifying principle in biology – as well as being confirmed & connected via geology, archaeology, anthropology, chemistry, physics, and cosmology – but across the world the notion of creationism is widely recognized by educated & thinking people as thinly-veiled religiously motivated pseudoscience. However, despite this progress, the forces of ignorance and anti-science continue their crusade to hold us back. 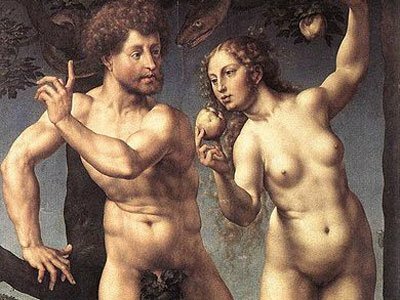 While their attempts to force creationism in its varied forms – from Young Earth Creationism to so-called “Intelligent” Design – into science classes have been thwarted time and again, they still fight against the teaching of evolutionary science at every turn. They can’t make it illegal, but they can (and do) pressure teachers, principals, and school boards to dumb down, or even delete completely, the teaching of evolution in schools. But we’ll fight on. We have to. If you’re interested in joining the fight on the side of science & reason, I suggest you get in touch with the National Center for Science Education. I have to admit, given the Church of Scientology’s overly litigious nature and proclivity for targeting their critics as “fair game” for a number of aggressive strong-arm tactics, it is refreshing to see someone stand up so strongly to them. I suppose that more and more people are getting tired of the CoS cult and their quest for brainwashing & manipulating their members. But, you can expect the CoS to continue their loathsome practices for as long as they are able. And they can try, but as long as they do there will be those who oppose them. Now those of you who are familiar with the CoS won’t be surprised by this in the least. But just in case you weren’t convinced by Tom Cruise’s public displays of frothing insanity that the CoS was nothing more than an international money grubbing, brainwashing cult, I suggest you check out Xenu.net (also known as “Operation Clambake” 🙂 ) for more info. If you know anyone who is expressing even a passing interest in Scientology and/or Dianetics, tell them to look at Xenu.net first, and that will set them straight! I agree with the prosecuting lawyer in the case in that the fact that the CoS is being taken to court at all is a victory of sorts. This is because the CoS has a history of attempting to silence their critics through a variety of intimidating tactics. In any case, stay tuned for more info. Apparently, the ruling from the French court will be handed down June 17th – it will certainly be interesting to see what happens.